M. Yasin, LetJend. TNI (Purn) SH, S.IP. M. Yasin is a retired Army Lieutenant General with nearly 36 years of service since his graduation from Academy of Indonesian Armed Forces in 1973 (AKABRI) until his retirement in 2008. 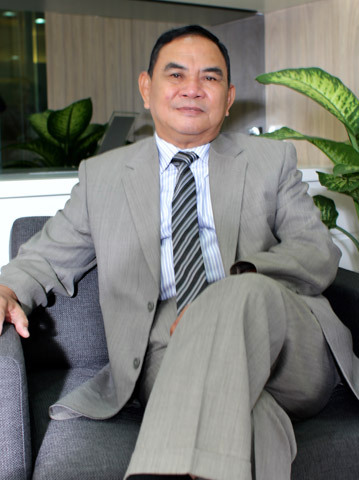 He hold a bachelor law degree from Indonesian Military Law School in 1996. M. Yasin holds lifetime memberships in the Academy of Indonesian Armed Forces Alumni Association. Throughout his outstanding career in the army and before his retirement, M. Yasin was formerly trusted with one of the most strategic position in a country’s integrity as Secretary General of The National Resilience Institute of Republic Indonesia (LEMHANAS). In private sector, M. Yasin has been acting as a commissioner in PT Nusapati Prima since 2011. PT Nusapati Prima is a holding company for Indonusa Group’s mining operation.